Your shopping carts are a vital part of your retail store, allowing customers to purchase multiple items far exceeding what they could carry by hand. 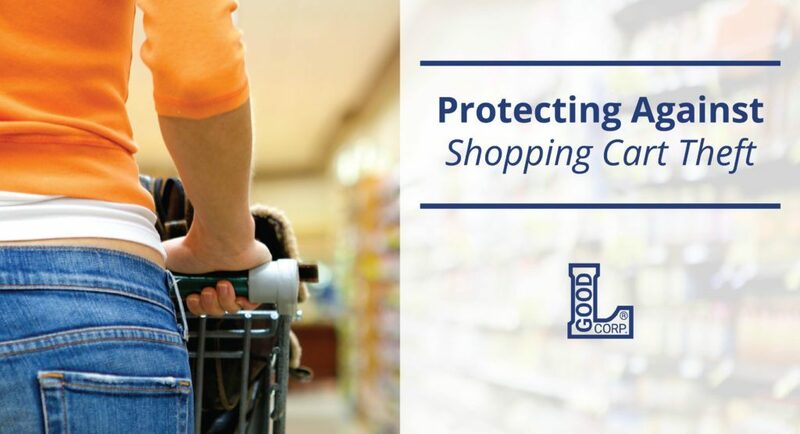 Because they are so integral to store profits, it’s important that you protect your shopping carts. Squeaky wheels may be a minor annoyance to your customer, but being unable to find a cart could lead to customers fleeing to another store. Shopping cart theft is one of the main reasons for carts vanishing. Theft can be a costly problem for retail stores. According to the Food Marketing Institute in Washington D.C., annual costs due to cart theft is around $800 million. Many stores have employed various ways to ensure their carts are safe. Here are three types of theft prevention methods that can protect your carts. This method uses a retrieval service to retrieve carts found off the store property for a fee. This fee is much cheaper than actually replacing the cart itself. Carts usually require branding with the store’s name or logo for identification and retrieval. This method may not be suited for large chain stores as it is chiefly reactive to theft instead of preventative; however, small local stores may benefit as this is inexpensive compared to more advanced theft prevention systems. This method is also beneficial to stores that allow pedestrian shoppers to transport their purchases home with carts. These carts can easily be retrieved via the retrieval service. Electronic systems are commonly used by large retailers when cart theft is an issue. These systems involve an electronic wheel clamp or boot attached to the wheel of the cart. The parking lot of the retail store is fitted with a thin wire which locks the wheel clamp when a cart passes over this wire. Painted lines are typically used to indicate to customers when they are nearing the boundary lines. Locked carts are unable to move until an employee unlocks them with a special key. While not foolproof, this method can be effective at theft prevention; however, it can be expensive to install. There are many physical systems that can be used to prevent shopping cart theft. Most of these involve restricting carts from leaving the inside of the store. However, these methods can impede disabled customers, and in the United States, some of these methods violate the Americans with Disabilities Act. The shopping chain Aldi uses an efficient system where customers must unlock carts by spending money in the form of quarters. Once carts are returned to the cart area and locked back in place, the coin used to unlock the cart is returned to the customer. While this is not a foolproof theft prevention method, it does reduce the amount of time store employees must spend retrieving carts. Now that you know three of the major methods used to prevent shopping cart theft, you can chose which one will best benefit you.